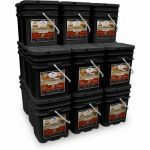 Wise Company takes an innovative approach in providing dependable, simple and affordable readymade freeze dry and dehydrated meals for emergency preparedness and outdoor use. 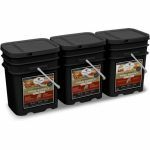 Whether you are preparing your family for the future or planning your next outdoor adventure, Wise Company provides great tasting, nutritious entrees that are quick and easy. 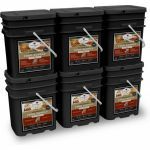 We are proud to be a partner with Wise Company in offering the best food storage option we have found. No more sacks of grain. No more number 10 cans. No more waste of valuable food supplies. Now with Lower Sodium and Trans Fat! 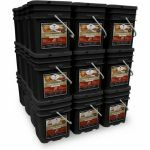 Finally a dependable, simple, and affordable choice for both your emergency food supply and outdoor needs. 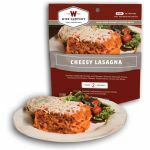 Wise Company's ready-made meals are packed in airtight NITROGEN PACKED pouches, and then encased in durable plastic containers. Our unique packaging process removes the majority of the residual oxygen through a vacuum oxygen removal and nitrogen flushing practice. 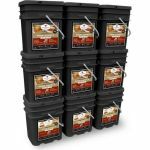 Wise Company ready-made entrees and breakfasts carry up to a shelf life of 25 years, with absolutely no rotation needed. That's 25 years without the stress of wondering if your family will have enough good, usable food when emergency strikes. 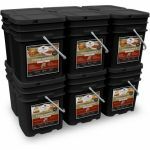 Because our entrees won't need to be rotated every few years like other food storage products, buying Wise Emergency Entrees will save you thousands of dollars long-term as the cost of food keeps going up. 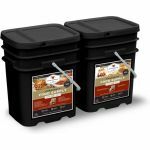 By investing in Wise meals you will again be saving thousands of dollars over the years. In a long term emergency, food may be worth more than diamonds or gold.